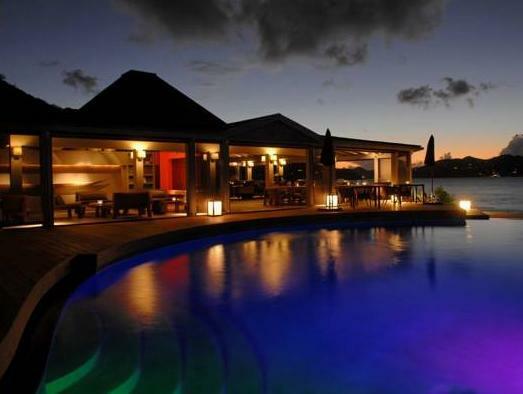 ﻿ Best Price on Hotel Christopher Saint Barth in Gustavia + Reviews! Offering a gym, a Sisley spa and large infinity pool overlooking the Caribbean Sea, Hotel Christopher Saint Barth is a secluded oasis 3.1 mi from St Barthelemy Airport. It offers free Wi-Fi and free parking with valet service. Bright, spacious rooms and suites are air conditioned and offer ocean views. Each has satellite TV, an iPod docking station and CD player. There is a mini-bar, safe and Nespresso coffee machine. The private bathroom comes with a hairdryer, bathrobes and welcome amenities such as slippers. A free buffet breakfast is offered at the Taino restaurant as well as a bar and restaurant at the Mango restaurant. Room service is available 24 hours daily. There is 24-hour reception and you can find car rental services here. A free airport shuttle service can be requested.